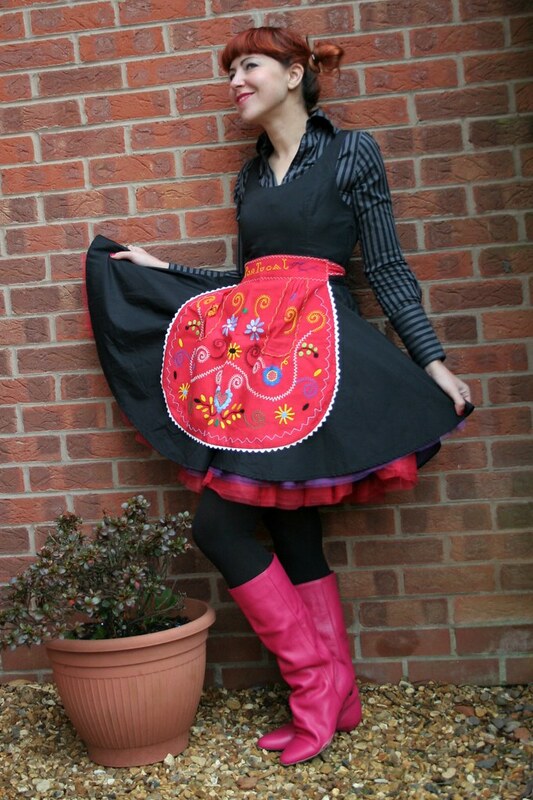 I was sent a set of 4 Ozeri Moderna Artisan Series Double Wall glasses for review and that was the perfect excuse to get in the kitchen and make something more elaborate than a cup of tea (as well as to wear the cute traditional Portuguese embroidery pinny Vix sent me). 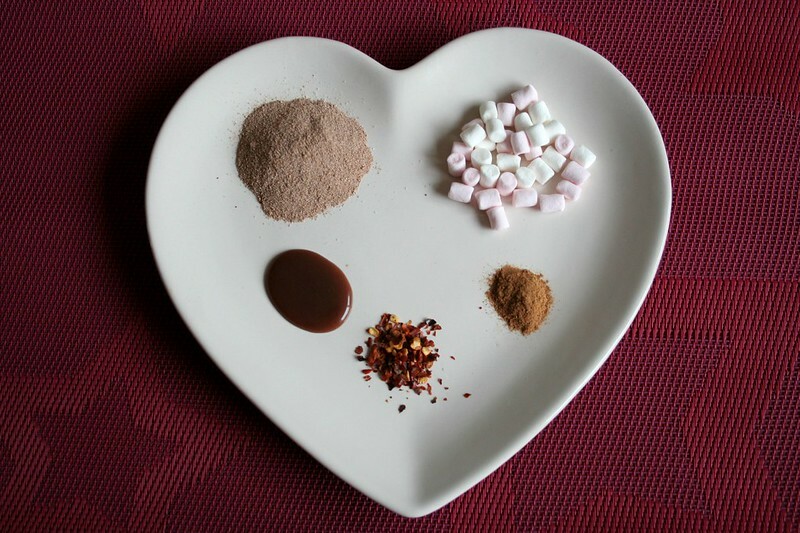 In a large mug, mix the chocolate mix, chocolate syrup, cinnamon and chili powder. Pour in the milk then add the boiling water. Mix it well as it will tend to get a little lumpy. Sprinkle the marshmallows on top and voila! I need to get myself some decent hot chocolate mix though. I got regular Cadburys mix and it’s too sweet for my taste. I need something more dark chocolatey. 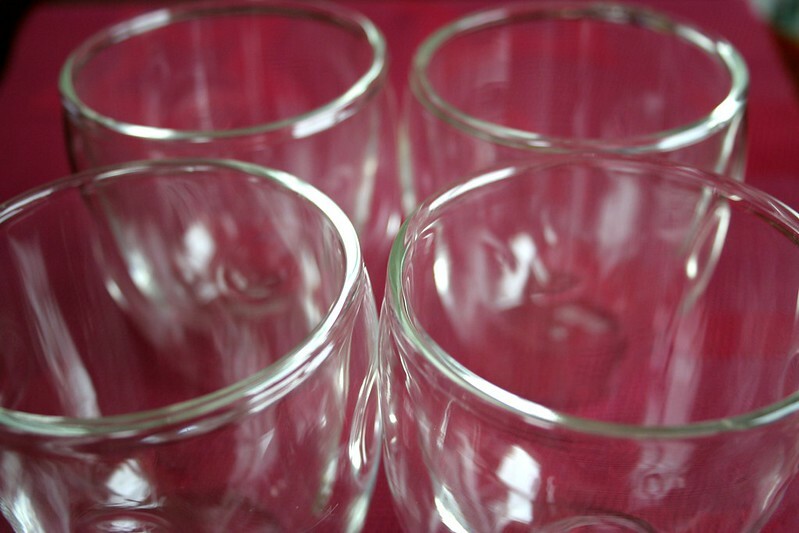 As for the glasses: I was very pleased when they arrived, very well packaged and protected. I was surprised at their weight – I thought they would be much heavier, but no, they’re quite light when you pick them up. The advantage of having double wall glasses is that you can hold them when you’re drinking something hot, without getting your fingers burnt. In the same way, if you’re drinking something chilled, you firngers won’t get frozen nor will you get condensation. How clever is that? The glasses look good and I like their design, with ergonomic indentations for a better grip. I think they are quite versatile, as you can use them for hot or cold drinks and as they are quite wide, you can also use them for ice cream in the Summer! Ta da! Have a lovely weekend everyone! How cute do you look in that pinny? Very! Love your hair like that, too. Thank you Vix, for sending it to me. You know exactly what I like! Thank you! I’m very glad you like it! that looks so good and i cant believe you got that dress for 0.99!!! 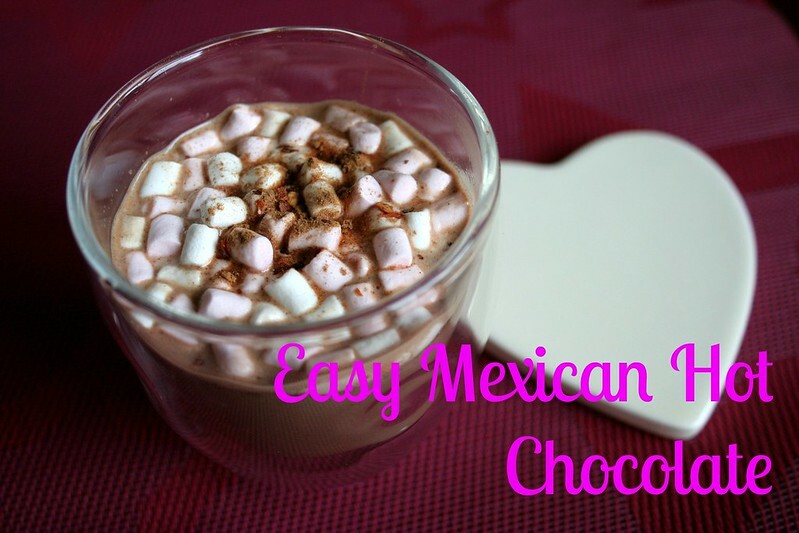 I love Mexican hot chocolate, and now I need one stat! 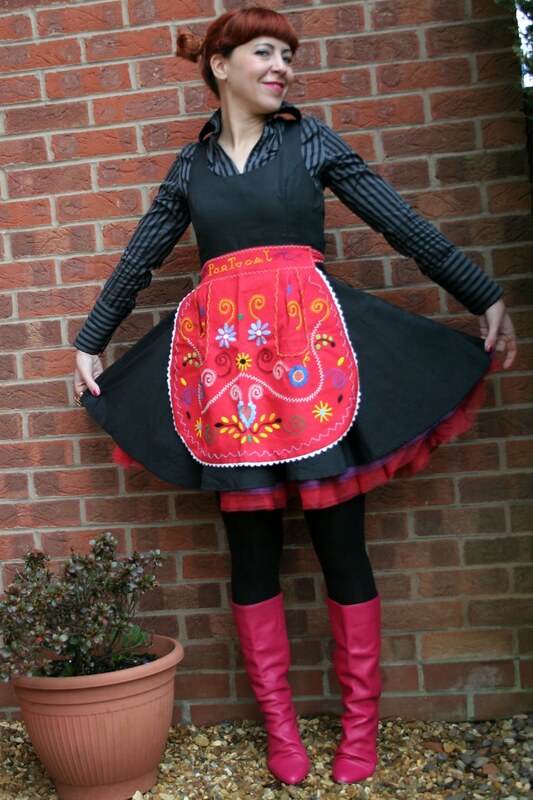 You look wonderfully warm yourself in your spicy pinny and awesome pink boots. Wish I could sip and chat with you. Happy Friday! xo. One day we’ll have to, I am sure! I love hot chocolate ,but cant have chocolate. 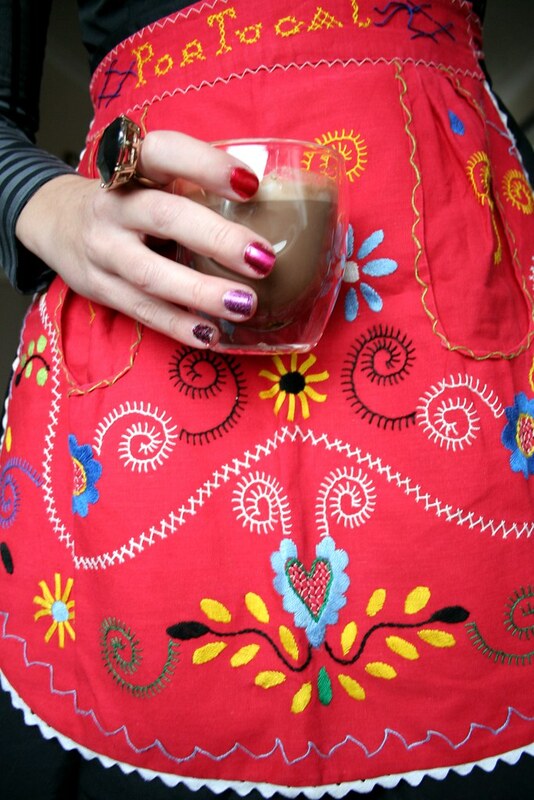 loving that colorful pinny. Vixcita gifts never fail. Vix knows what I like! I made Mayan hot chocolate for my Doomsday party last December. (according to the Mayan calendar the world was supposed to end then so we had a party). It’s the same as Mexican hot chocolate but we added nutmeg… the only problem is… nutmeg does’t dissolve so it just floated in the mix like mouse poop. That pinny looks so cute on you. I make hot chocolate with unsweetened cocoa and sugar. Try using 2 teaspoons of cocoa powder and two teaspoons sugar. Mix together in a small saucepan, then add a small amount of milk (I used almond milk) to make sure there are no lumps before adding the rest of the milk and heating up. If the sweetness isn’t to your liking you can vary the amount of sugar. That sounds like a good idea. I might need to do just that! Eres un sol, mi preciosa Sara. Thank you my lovely! I love these boots, I’d like to have them in all colours! Look at you in your apron! Cuterino! Didn’t you just love the film “Chocolat”? Did you ever see “Love You, Man”? Isn’t it great to receive fantastic presents? 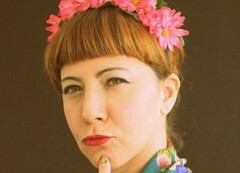 wouuau, love dark chocolate with chile, it’s fabulous!, and you’re looking über gorgeous and cute! !, love your dress and your little embroidered pinny, and your pretty smile! Did you try it? It’s delish!